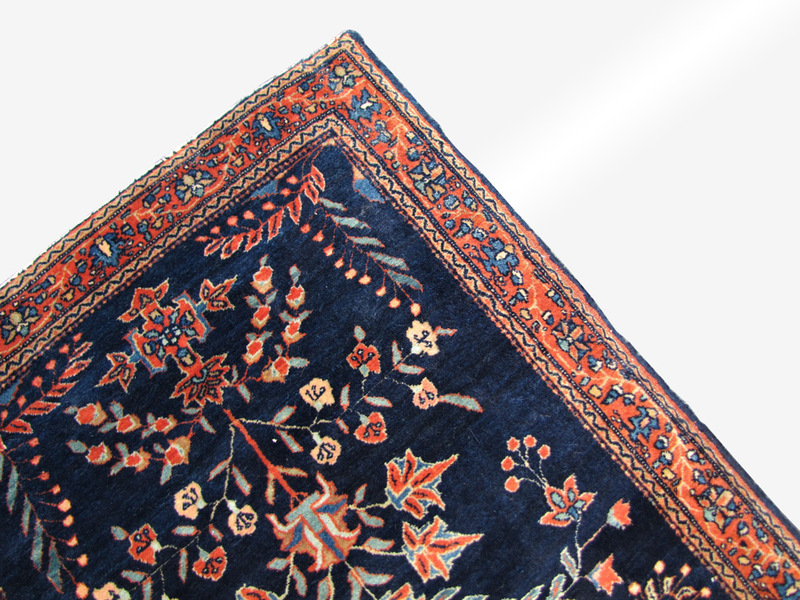 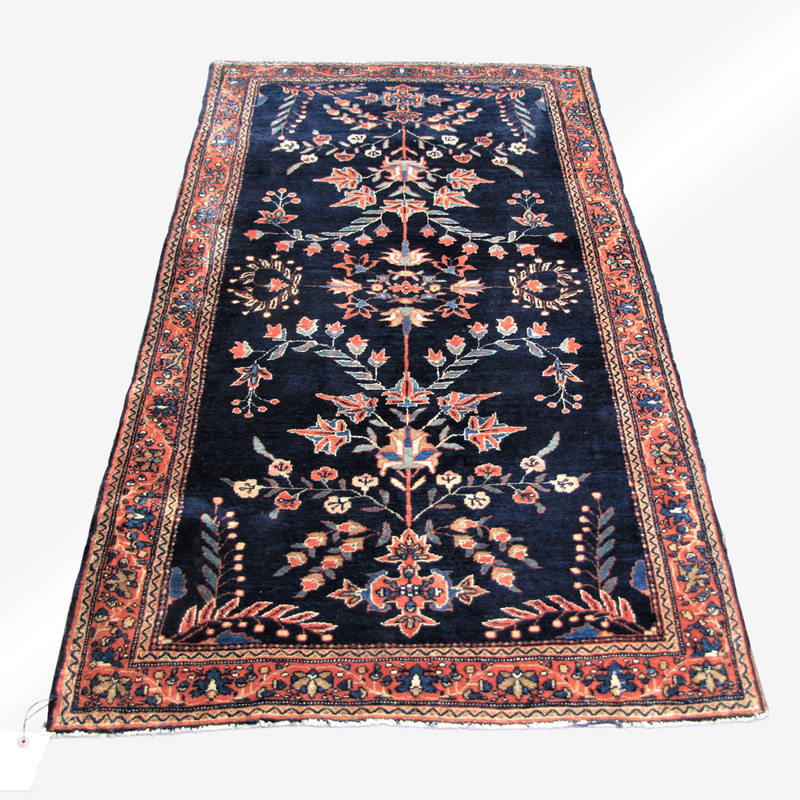 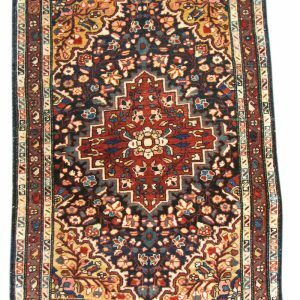 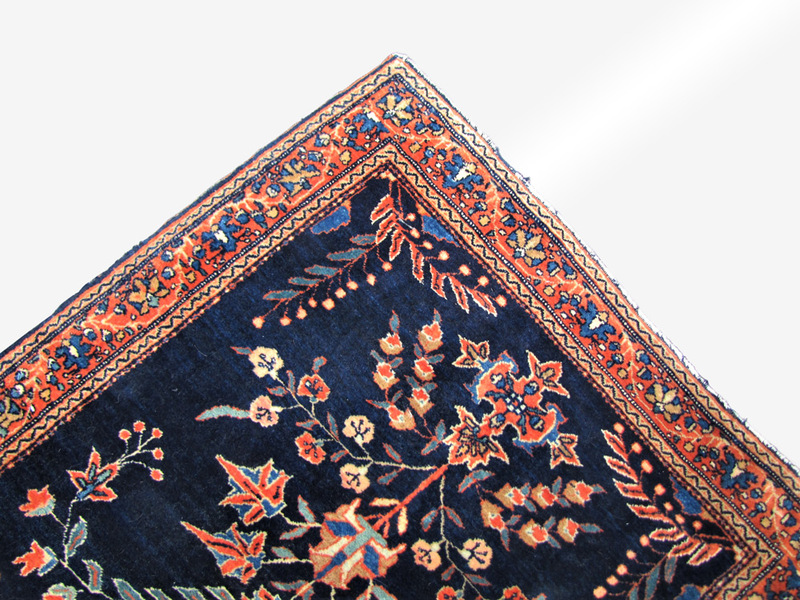 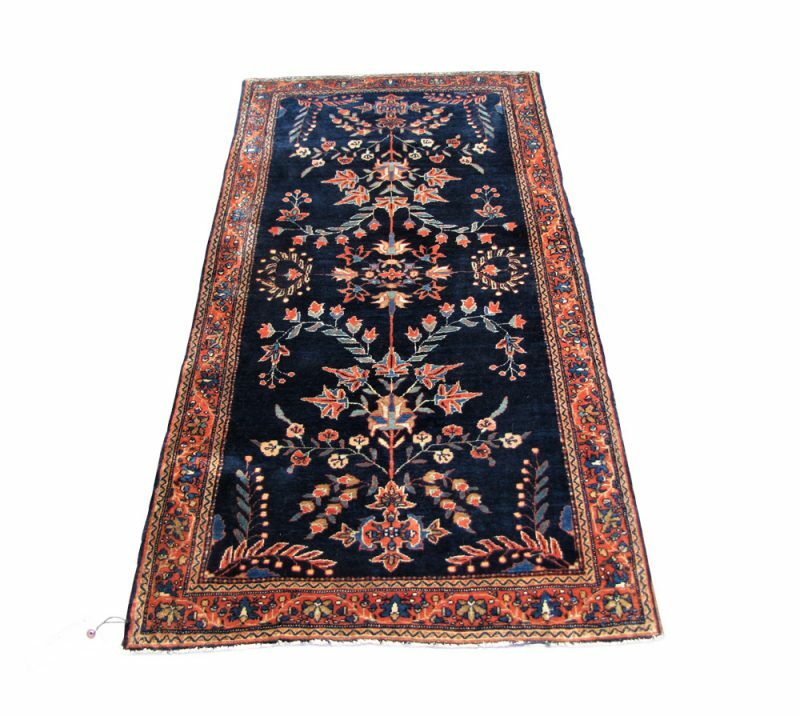 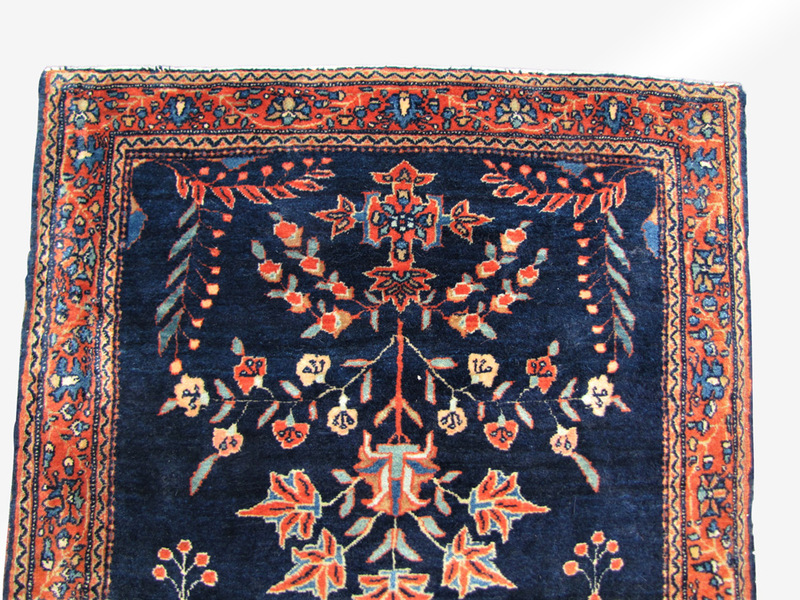 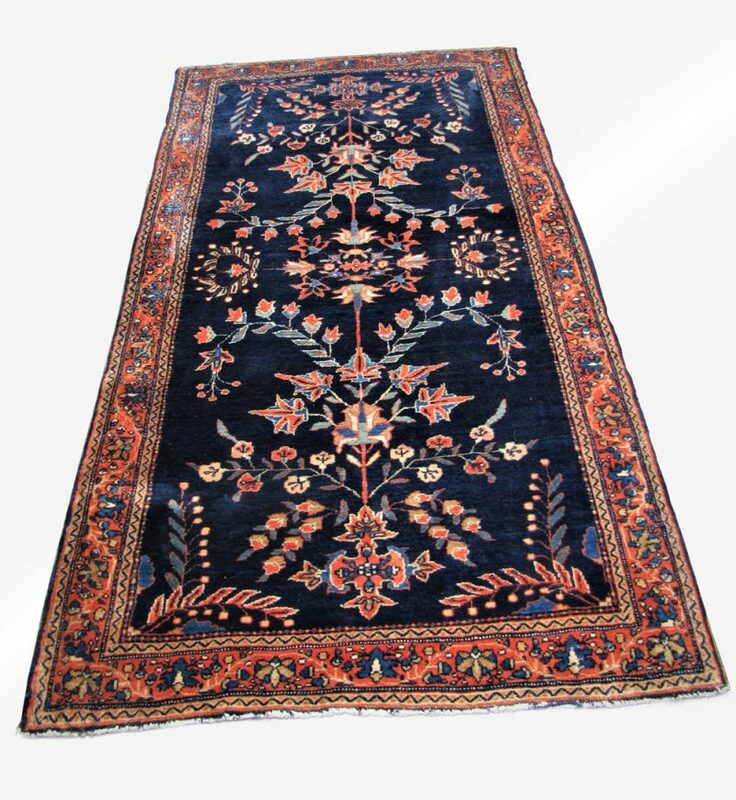 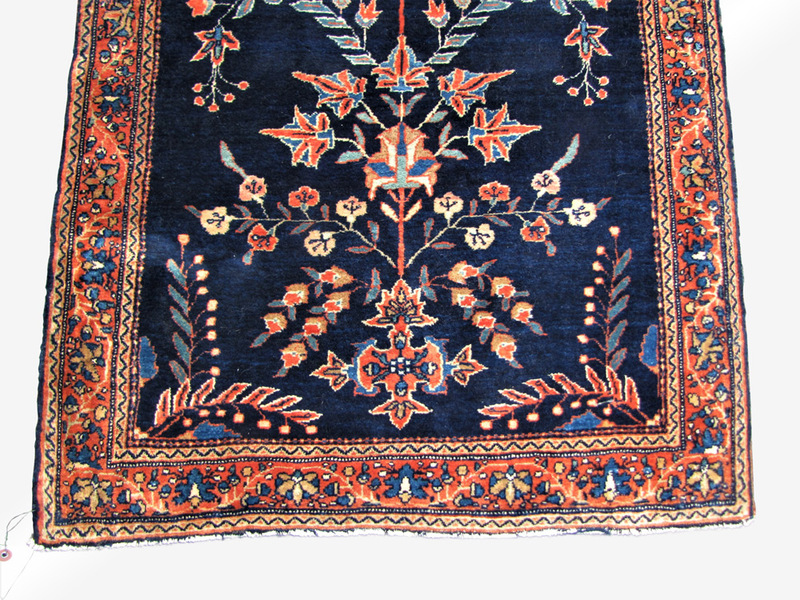 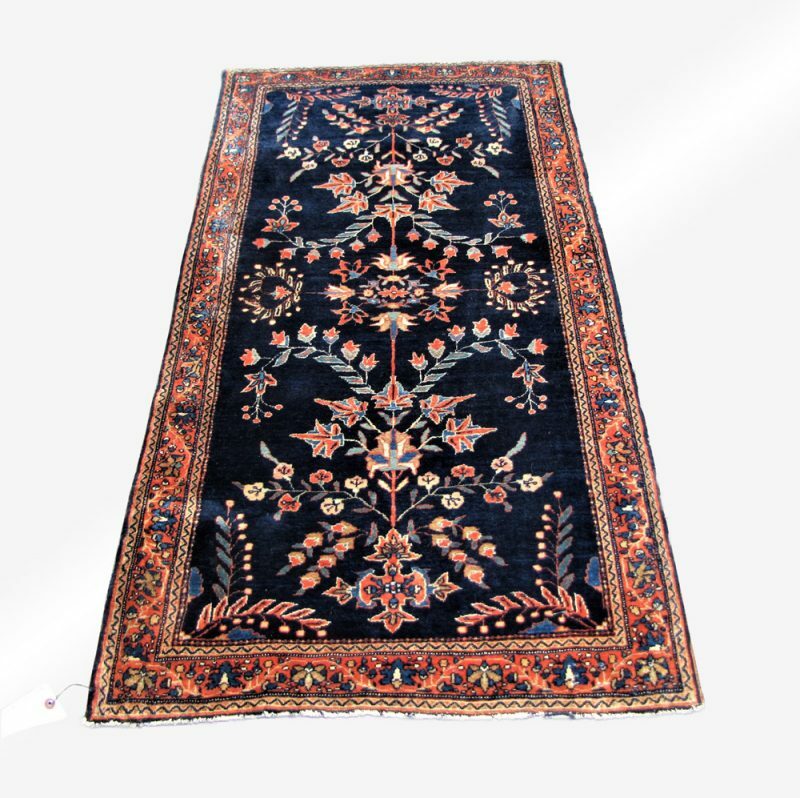 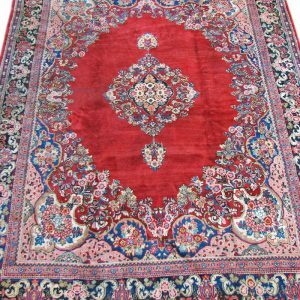 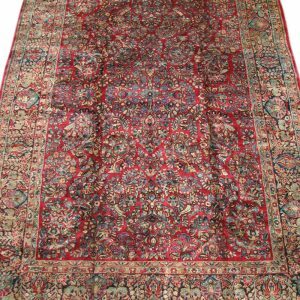 This is a great antique Persian blue Mahageran Sarough rug in great condition. 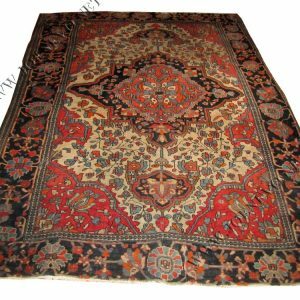 Most time we see one of these rug from that era, they are worn out but not this rug. 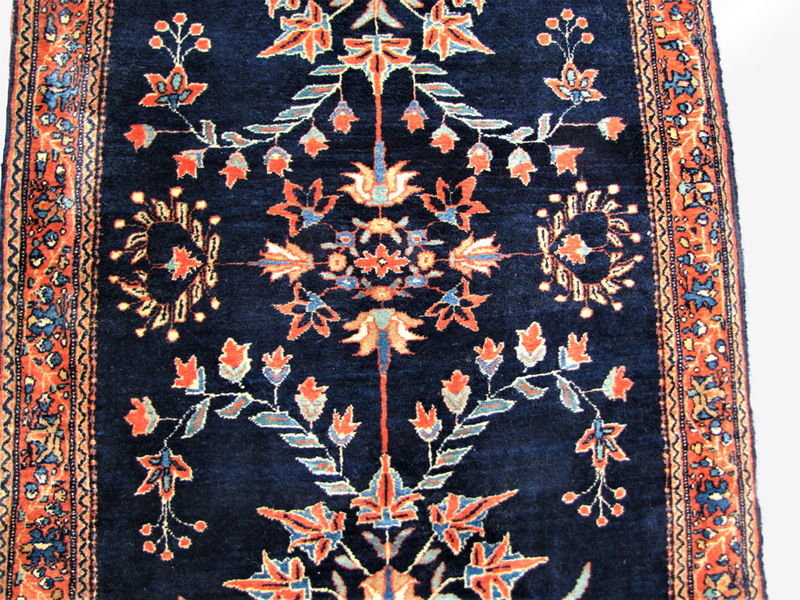 Great weave and not busy design as typical these type rugs.